FarMore® FI500 Onion fungicide/insecticide seed treatment technology offers direct-seeded onion growers early season disease and insect protection for a healthy crop start. 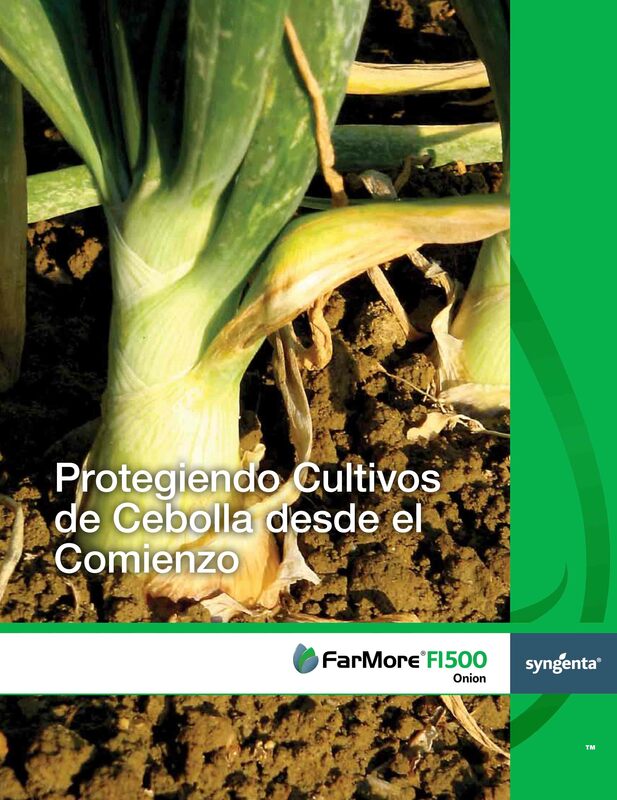 Containing three fungicides and two powerful seed-applied insecticides, FarMore FI500 provides a new opportunity for onion producers to protect their high-value crop from the start. Spinosad, an organic compound derived from fermentation of naturally occurring organisms, and thiamethoxam, a second generation neonicotinoid, join forces to shield onion crops from some of the most damaging early-season insects including onion maggots, seedcorn maggots and early-season activity on thrips. FarMore Technology is an on-seed application of separately registered seed protection products and proprietary application technologies. FarMore FI500 Onion contains three fungicides: Apron XL, Maxim 4FS and Dynasty, and two insecticides: Regard® and Cruiser 70WS. Apron XL®, Cruiser®, Dynasty®, FarMore®, Maxim® and Regard® are registered trademarks of a Syngenta Group Company.